OLD mate Peter Tongs (AKA Mr Q) from Devonport recently rolled into the new truck parking area at the rear of Mood Food, the 24-hour Caltex truck stop at Kempton. Peter was driving a Fresh Freight 2010 T-408 SAR with a 525 Westport LNG motor up front and fridge pan from Hobart up to Devonport to catch the TT Line ferry Spirit of Tasmania. 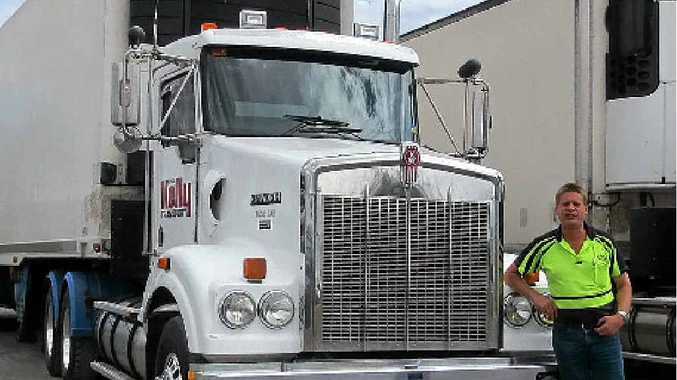 He tells us he has been with Fresh Freight for three years or so now, and that he really likes the company and that it is a great job. He spent a quiet Christmas at home.